I have been looking forward to this Sharing Time for about a month now. This week it's my turn to teach!! Our Primary has been really rowdy the last few weeks so I'm hoping that if I put those older kids in "charge" of the groups that there will be more cooperation from them. Because we have a small Primary, we meet together for Singing Time and Sharing Time and I think sometimes that the older kids are bored. So we'll see how it goes. I'll throw all the pieces into different envelopes and hand them out to the groups with a scripture that goes with each creation day. 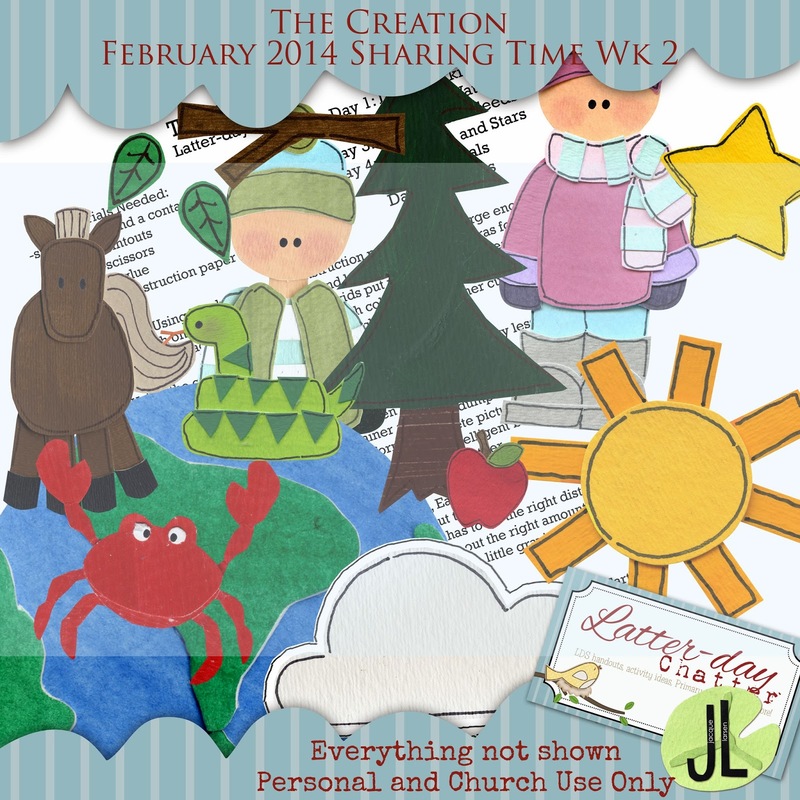 As each group comes up, we'll discuss each creation after reading the quick scriptures. There are a ton of pieces so I think all of our Primary will be able to participate in one form or another. I'm still debating whether or not to let the older kids do some of the cutting to help with the little kids. Your thoughts?